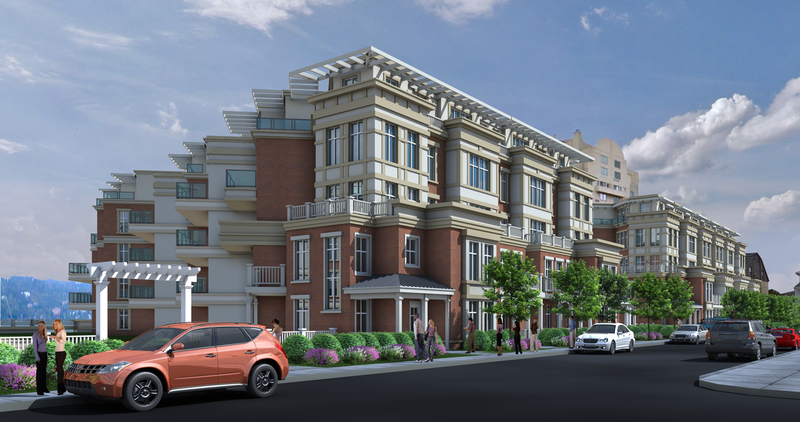 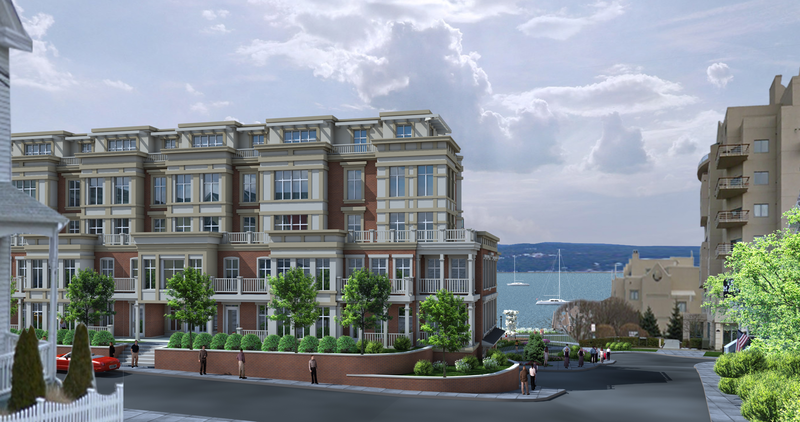 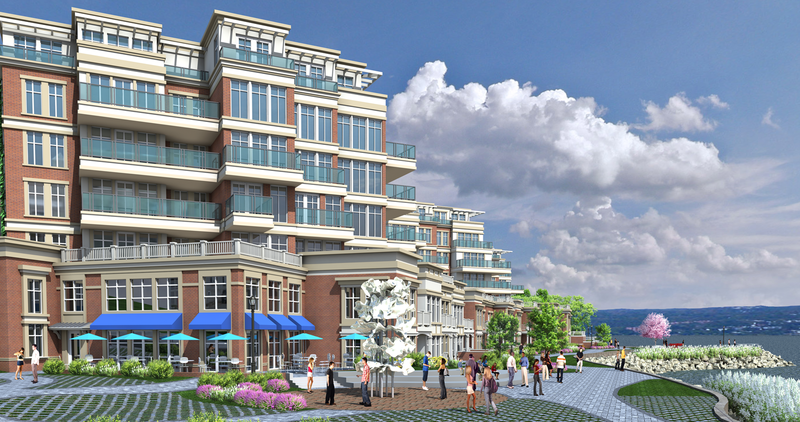 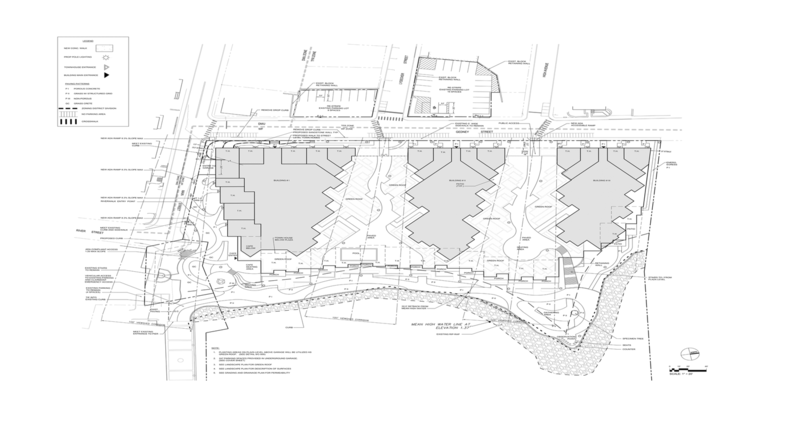 This water front property in downtown Nyack, will be developed as a multi-family residential complex, with proposed 119 residences in three mid-rise buildings and string of water front town homes with car parking located under ground. 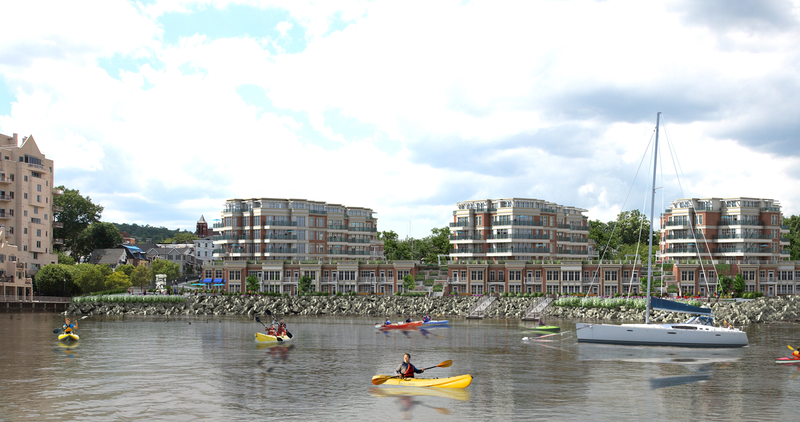 The complex designed to preserve and maximize the views of the river and allow access to the water front promenade and park to the public. 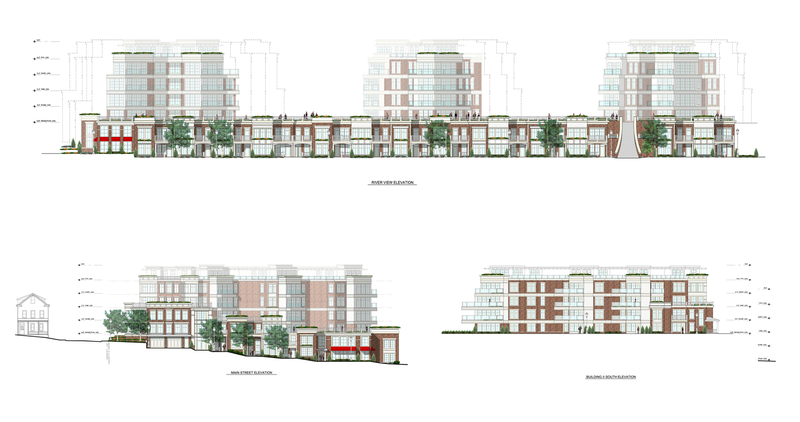 The project will be LEED certifiable, and it will employ a range of additional sustainable practices. 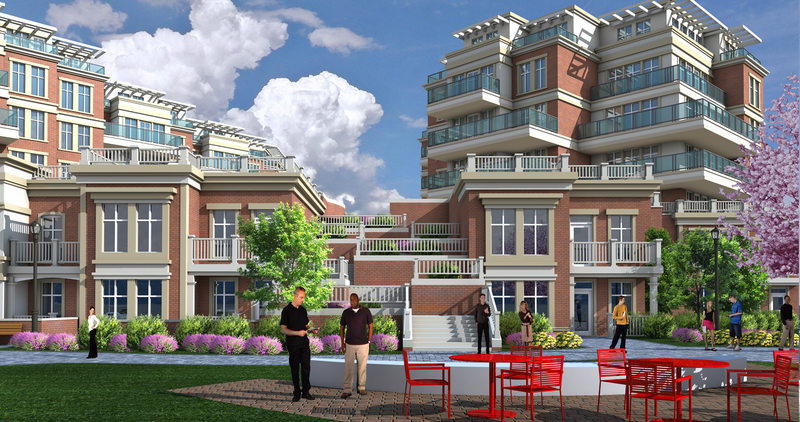 The design of buildings and the proposed building materials will be in keeping with the existing architecture of Nyack and will provide breathtaking panoramic views with floor to ceiling windows and generous terraces.